Increasing fuel prices and environmental requirements make it necessary to get as much energy as possible from the fuel. 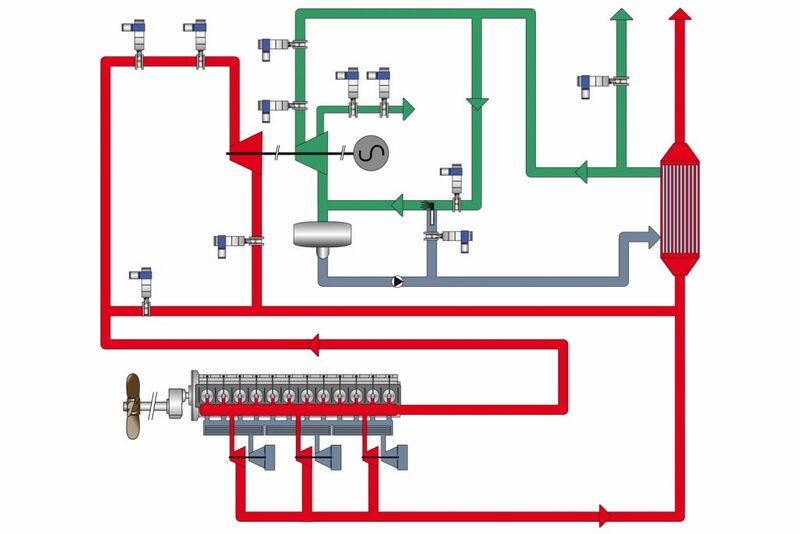 One way is to utilize the energy in the exhaust gasses to produce steam which drives a steam turbine. The power of the steam turbine can then be used to produce electricity or compressed air. An effective WHR system can reduce fuel consumption by almost 10%. SOMAS ball segment and butterfly valves are used for shut down and control of the hot exhaust gas flow and for a variety of applications in the water and steam part of the system. WHR systems are often installed on large low speed two-stroke engines on big ships.